Textron Aviation has delivered its first fully configured Hawker 400XPR from the company’s Wichita Service Center to a Seattle-based company, the aircraft OEM announced today. Transformation of the 400XPR entailed upgrading the customer’s baseline Hawker﻿ 400XP with new Hawker winglets, Williams FJ44 engines, refurbished interior and new paint scheme. Avionics will be upgraded to the Garmin G5000 post-delivery after STC approval is received for the Beechjet 400A/400XP. According to Textron Aviation, the 400XPR program offers a suite of upgrade options that can be performed independently in phases or in unison and can be completed in as little as 12 weeks. The full Hawker 400XPR package, which includes the winglets and new engines, provides a 33-percent increase in range, to 2,160 nm with four passengers, improvements in runway and hot/high performance and the ability to climb direct to FL450 in 19 minutes at max takeoff weight. Customers can choose to upgrade the aircraft’s Rockwell Collins Pro Line 4 avionics to Pro Line 21 or Garmin G5000 platforms. 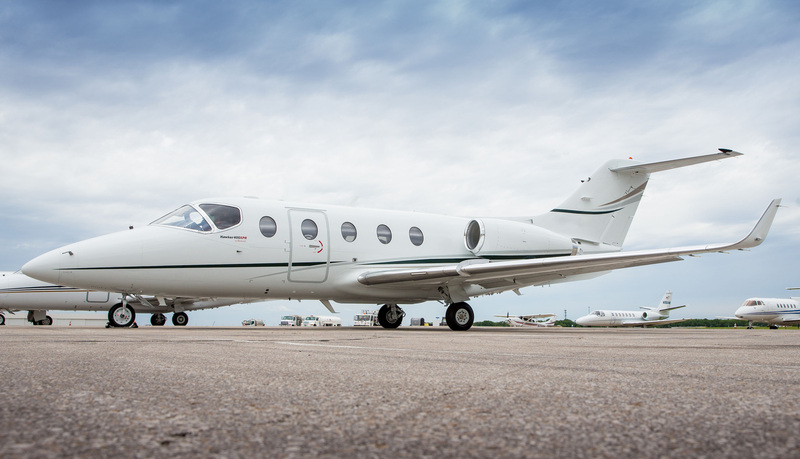 Other options inlcude exterior repaint, interior refurbishment and a “customized, factory certified reconditioning” that includes Textron Aviation’s ProParts coverage and a five-year Williams International engine warranty.